Prefer to listen to the audio? Click here. Guest Bio STACEY & PAUL MARTINO have proven that it only takes ONE partner to transform a relationship…ANY relationship! The Martino’s are on a mission to empower people to get the Unshakable Love and Unleashed Passion they want in their relationship…even if their partner REFUSES to change! 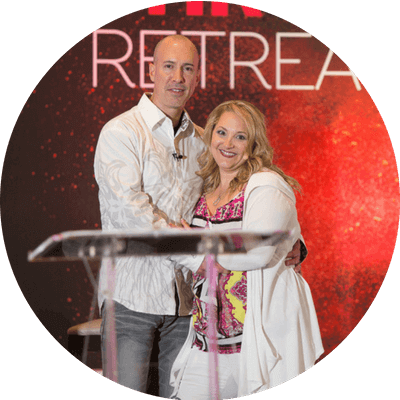 Stacey and Paul, are the founders of RelationshipDevelopment.org and creators of RelationshipU®. Through their revolutionary Relationship Development® methodology, they are changing the way relationship is done! Today, through their strategic coaching, online programs and sold-out live events, Stacey and Paul have helped save thousands of marriages around the world (by working with only one spouse) Trained and certified by Tony Robbins, Stacey is a certified marriage educator, divorce preventionist and strategic interventionist. As a six-time best-selling author, Stacey is a sought-after relationship expert, and is the Relationship Expert for Aspire Magazine. Finding and Seeing Opprotunity Everywhere!